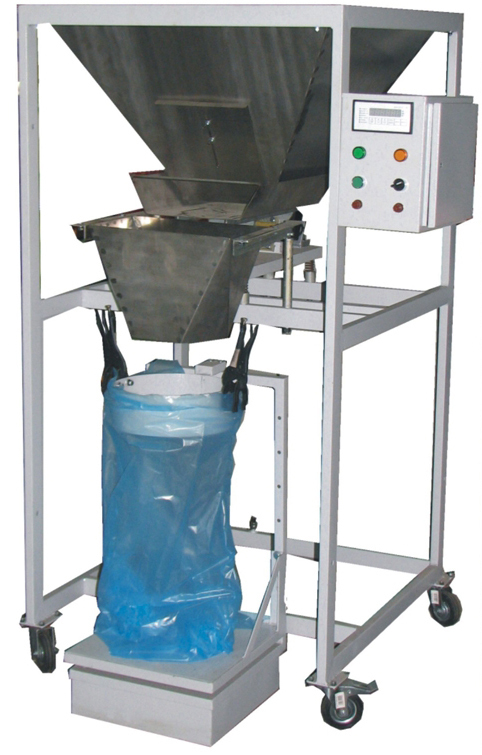 Suitable for different product packing in nylon/paper/polythene bags. 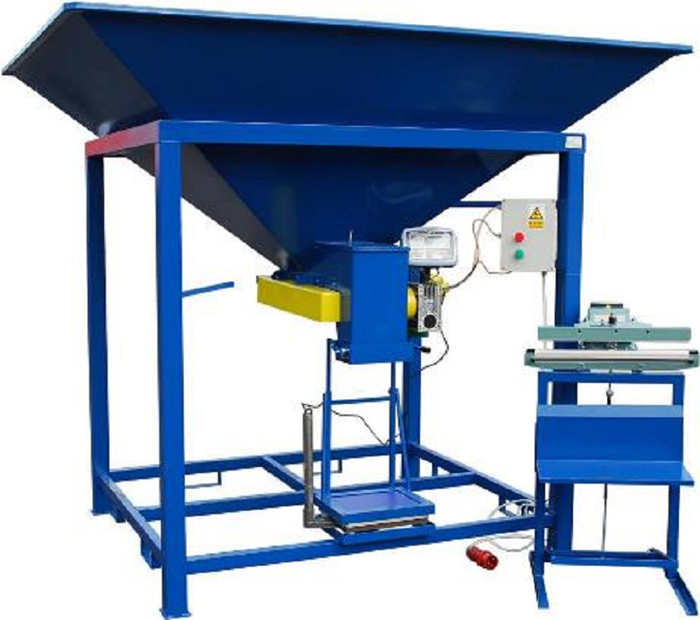 Additional equipments: stirrer, ladder, electrovibrator, enlargemet of hooper, galvanizing. 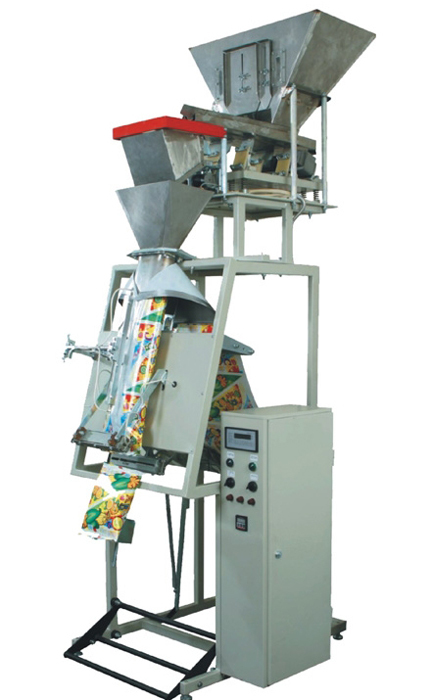 Machine designed for packing large size food/nonfood products. (dumplings, gingerbreads, pistachious, granulated nutrion for animals etc.) 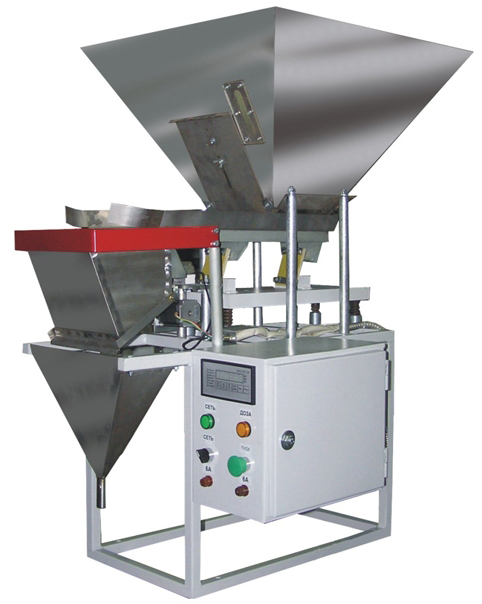 in polymeric film, semiautomatic mode. 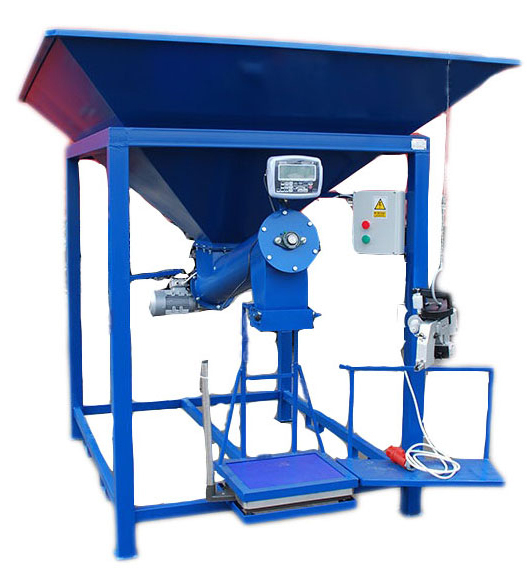 Completed with one weight feeder and two vibratory feeding trays. 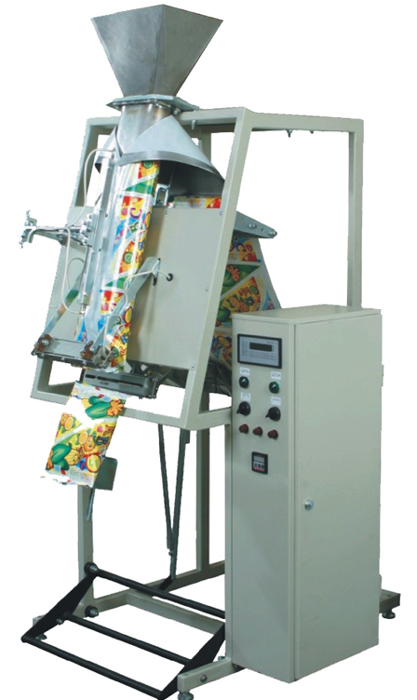 Machine designed for packing food/nonfood products in polymeric film, semiautomatic mode or for making three seam bag. 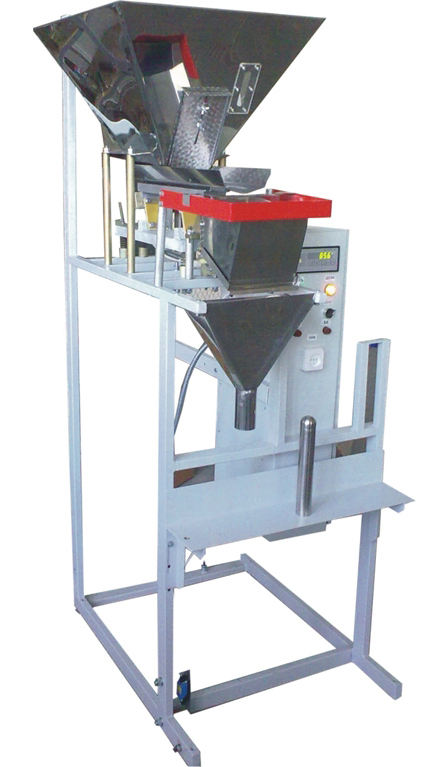 Machine designed for packing food/nonfood free flowing products that are not prone to sticking and clumping. (cereals, sugar, pasta, pellets, building mixes, soil etc.) in ready packaging. 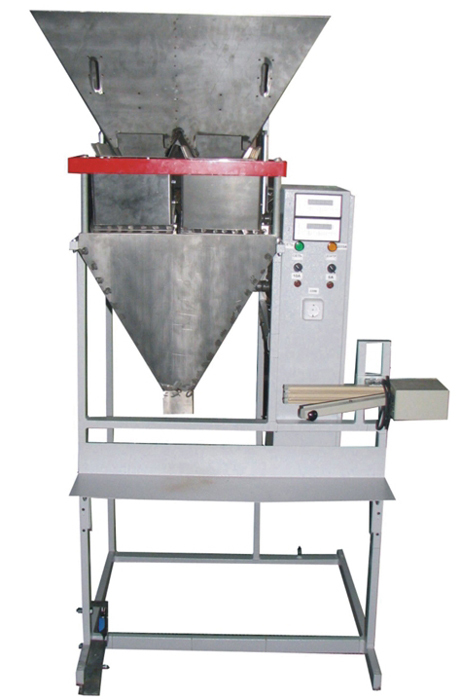 Machine designed for packing food/nonfood free flowing products that are not prone to sticking and clumping. (coffe, tea, herbal mixes, spices) in doypack bags. 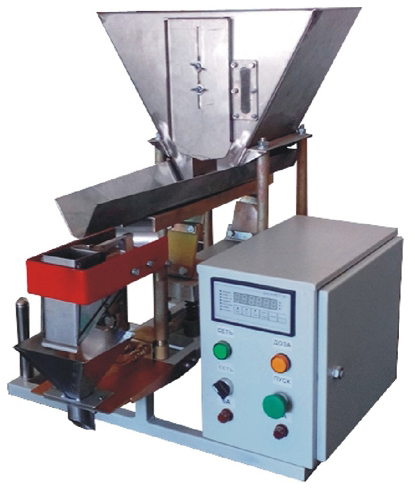 Machine designed for packing food/nonfood free flowing products that are not prone to sticking and clumping.